Which are the technologies that are dominating the Marketing Automation space? Did you know that when it comes to marketing automation, just six technologies hold more than half of the market share? Well, now you do – courtesy of competitive intelligence and lead generation company SimilarTech and inbound marketing agency Bold Digital Architects. The two companies recently teamed up to create a report on the State of Marketing Automation in 2017 and managed to draw up a couple of interesting conclusions. Six biggest technologies hold a total of 57 per cent of the market share. A total of 482,765 websites have been using marketing automation technology last year, representing an increase in usage. With more than a fifth of market share (21 per cent), Hubspot has the single largest market share. B2B companies are most inclined on using marketing automation. The majority of large enterprises tend to use Marketo. Among the six most dominant technologies, Pardot has had the single largest growth last year – a mindboggling 108.9 percent. For the other five, average growth was around 48 percent. After teaming up, the two companies spent a couple of months scanning 100 million websites, looking for the trends that shape the marketing automation ecosystem in the past year. Even though they do tap the same industry, these six aren’t direct competitors. By offering different pricing and different features, each target a different part of the market. According to the report, Marketo is aimed more towards enterprises, while HubSpot targets medium-sized companies. “This could explain the reason HubSpot has a larger market share than Marketo,” the report says. Even though many industries are taking advantage of marketing automation, the idea is not entirely widespread. Arts & Entertainment, Computer & Electronics, or Finance companies are using it, while Adult, Books & Literature, and Recreation & Hobbies industries are not. Business & Industry is the largest industry, with 40.69 percent of the market. On the other end of the spectrum is Gambling, taking up a mere 0.05 percent. Generally speaking, marketing automation is particularly popular among B2B companies. The report states the solution is “very useful in cases of complex sales cycles and long decision-making processes,” which is very characteristic of B2B companies. 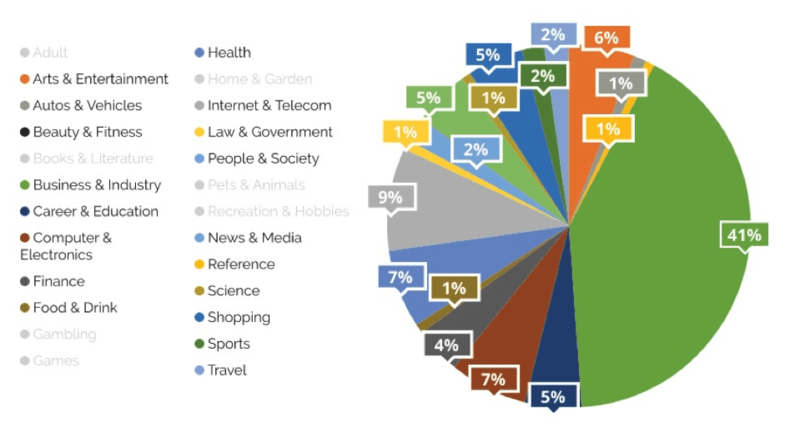 The article goes into further detail, explaining marketing automation adoption per revenue tier, per traffic volumes, and per global geolocation. Most of the technologies’ market penetration is aimed towards the English-speaking market, with Polish, Japanese and South American markets being seen as emerging ones. An interesting takeaway is that nobody seems to be dominating in Europe, which is something that might very well change in this year, or the next. Generally speaking, the technology has seen significant growth, with Pardot taking the limelight with 108.9 percent growth. HubSpot is ranked second with 50.9 percent growth, followed by Marketo, Act-On, Eloqua and InfusionSoft. "Over the past several years, marketing automation has seen a huge increase in usability all over the world. We at Bold Digital Architects always strive to stay ahead of the latest trends in the online marketing landscape. Therefore, together with SimilarTech, we have decided to conduct this unique and unbiased research, in order to better understand where the industry is headed and how we can best serve our B2B partners." As a competitive intelligence and lead generation tool, SimilarTech tracks the adoption of various new technologies, and how they are being used, in real-time. It was founded in June 2014 by two former SimilarWeb software engineers – Yaniv Hadad and Eyal Weiss. The duo was joined by serial entrepreneur Chen Levanon in 2016. The company uses website crawling to provide businesses with valuable insights, including spotting different trends, analyzing the market or generating leads. It can track which technologies are being used on which website, and can track and list whole web tech categories. Thanks to Noa Eshed for sharing her advice and opinions in this post. 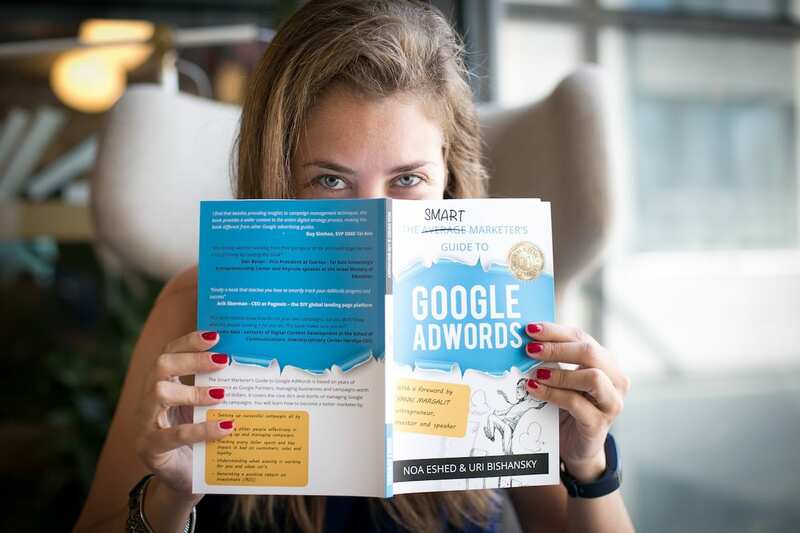 Noa is the co-author of the Amazon no.1 Bestseller "The Smart Marketer's Guide to Google AdWords. She's a content lover, certified journalist & lawyer (Hebrew U). She practices martial arts & yoga. She's been consulting and helping businesses create a significant presence online since 2010. Bold Digital Architects is an award winning inbound marketing agency and a HubSpot Gold Partner, focused on achieving results and revenue for B2B companies worldwide. It was founded in January 2014 by Uri Bishansky and Noa Eshed.